Let me show you what made me squeal like a little girl a couple of Fridays ago. My brand-spankin'-new Apera Performance Duffel bag! It has so many pockets and zippers...and it's.so.PINK. 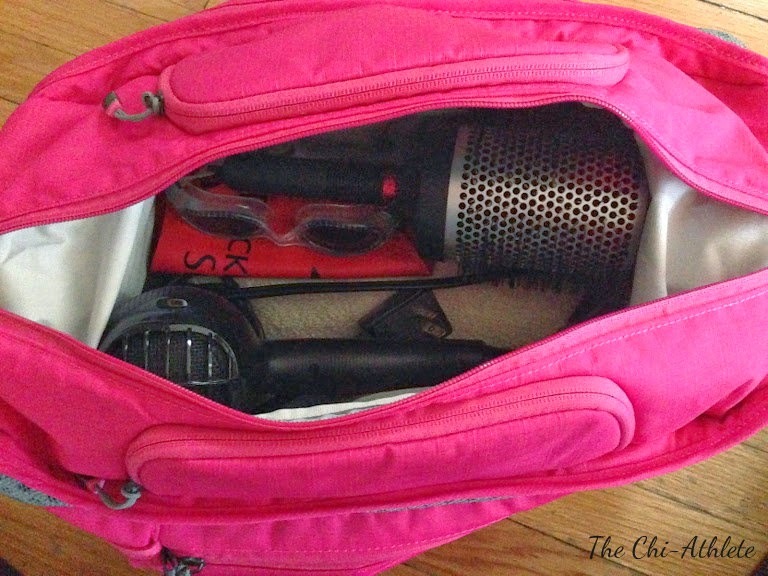 <3 This bag, while small in size, packs a mean punch in terms of convenience and space. 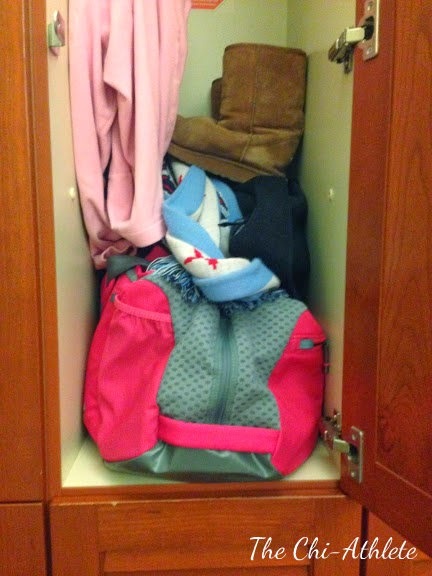 Triathletes tend to carry stuff to cover two or three sports any given time. As a P.E. 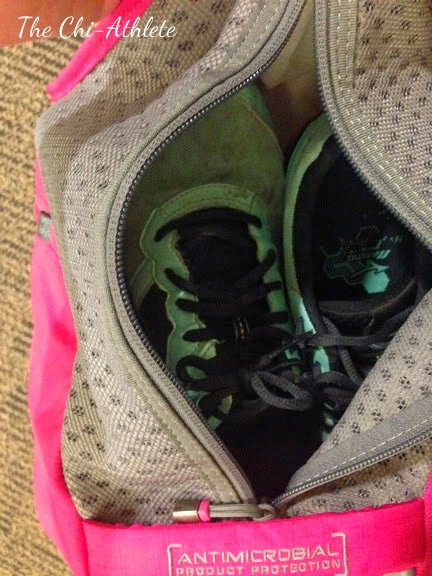 teacher, I get to carry around even MORE gym clothes and another pair of (old) running shoes inside my bag, along with everything I need to get clean after workouts, including two towels. 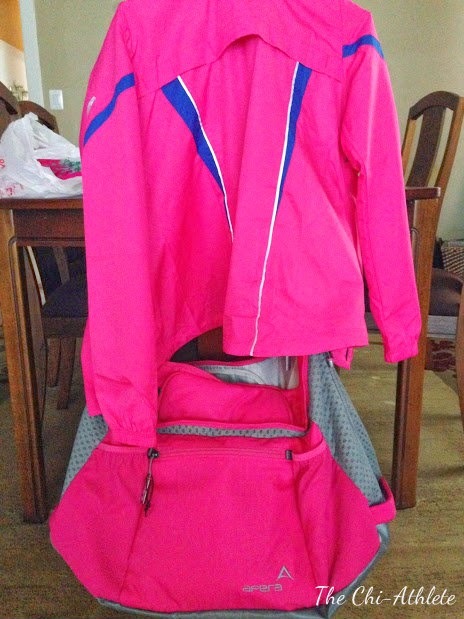 In comparison to my old duffel (also pink [shocked?] and now under my bed). It may or may not match several items that I already/will own. 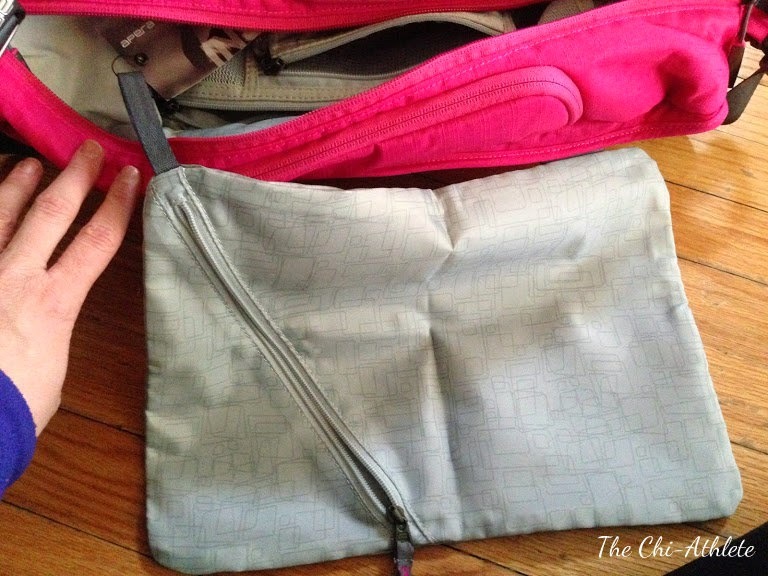 There are three pockets that are ideal for mp3 and media players, phones, and valuables. I put my gym lock in one of them, since it's right on top and so handy. This bag on the inside of one of the pockets ROCKS. 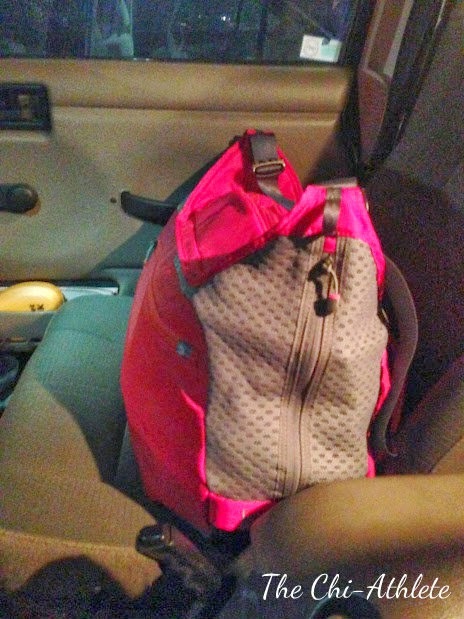 I put my (still very damp) swimsuit in it, and it doesn't stink up the whole bag. More thumbs up. Forget how pretty and handy all of the pockets are for just a second. 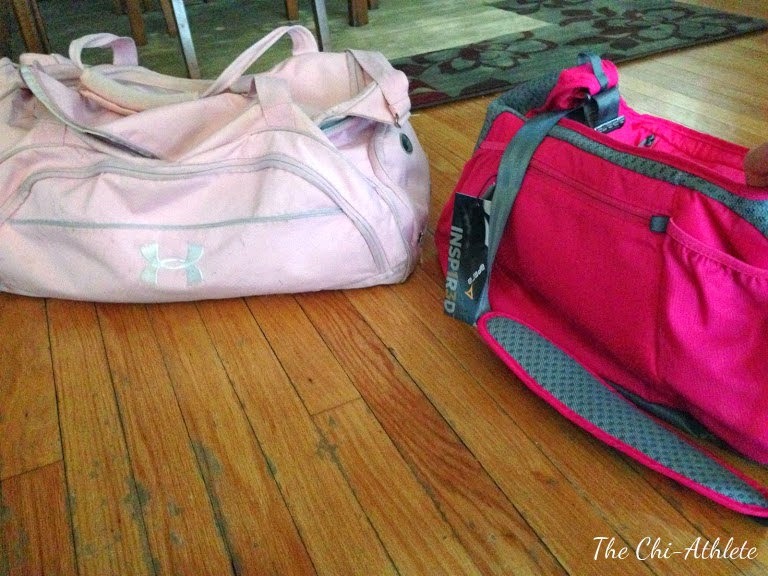 Check out how much HEALTHIER these bags are! 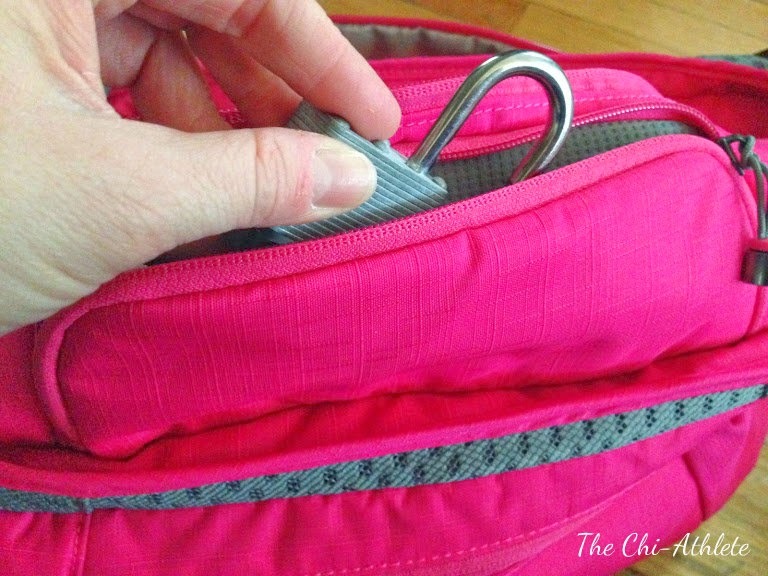 "Apera bags are designed to be healthier – with built-in antimicrobial product protection to inhibit the growth of bacterial odors, separation of your wet, sweaty gear from your dry stuff, and venting air to keep your bag dry and suppress odor." A video on the Apera Performance Duffel, highlighting EVERY.SINGLE.FANTASTIC.POCKET. Wanna hear the best part? You can get your own Apera Sprint Pack! 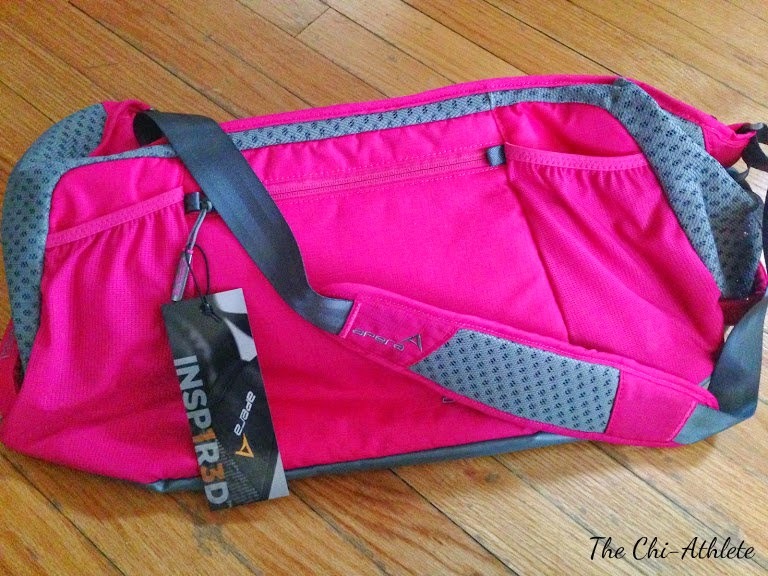 Enter to win this bag, which is also given to a Special Olympics athlete for every three bags Apera sells. It comes along with a coupon worth 25% off any Apera bag! 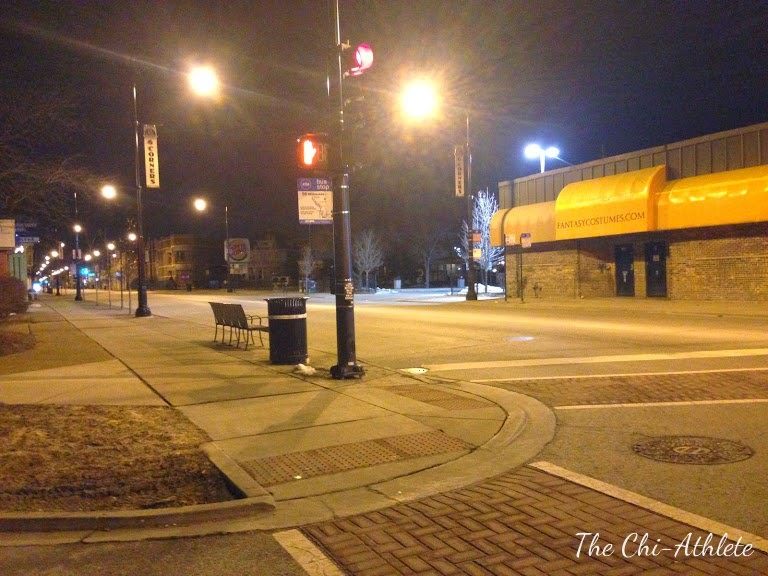 True story...this is my very first giveaway! In addition, if you'd like to enter Apera's Monthly Giveaway (this month is the Sling Tote! CUUUUTE! ), you can click here. All you have to do is subscribe to their newsletter. Sounds like a deal to me! Love this bag!! My essentials are face wipes for my makeup, towel, headband, and a change of clothes! I've had 3 wranglers, so I'm all kinds of familiar with the challenges. I definitely love the way these bags look! I'd use mine for short hikes. I've heard some great reviews about this bag. Must haves - golf ball, lifting gloves, extra socks, shoes, extra t-shirt, or course the workout clothes with extras just in case I forget something, tissues (nose gets runny), and notebook. A towel and my hairbrush are my top necessities. Earbuds, sweat towel, hair bands and water bottle are the must haves. Headphones and my phone, go everywhere I go. Adorable!! How could you resist something so handy and pink? 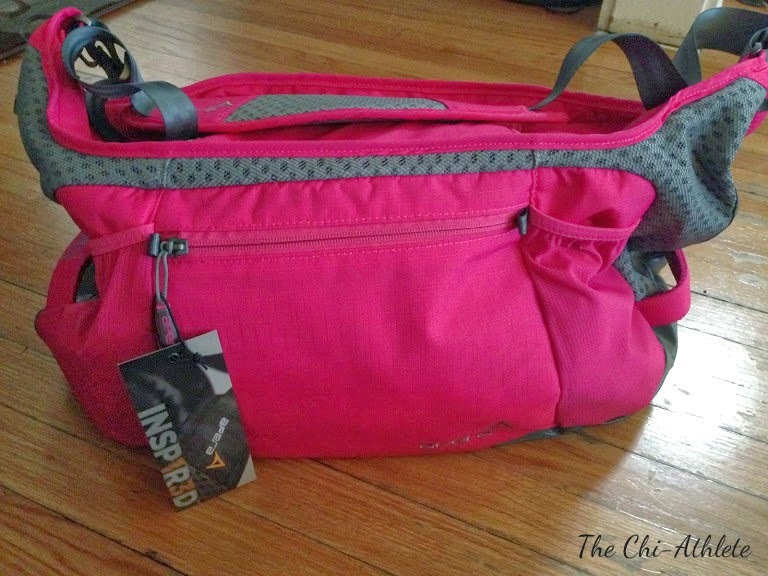 This would be great to lug my workout gear! A must have is my IPOD nano and head phones! Earbuds and phone. I love this bag! My gym bag always has a long sleeve shirt for after the workout. After yesterday, an extra hair elastic would be wise to add. I LOOOOVE these bags!!!!!! I've been wanting one for a while, but can't get myself to shell out the bucks for one....LOVE the pink too!! !